In a mortar and pestle or food processor, grind the spice mixture ingredients to a smooth paste. 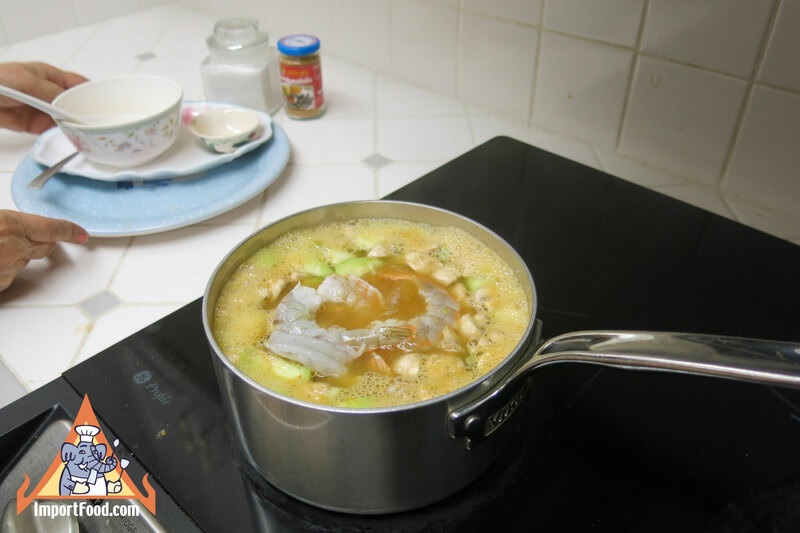 Bring the stock to a boil and add the spice mixture, curry paste, and chili paste in oil, and stir until thoroughly mixed. When it is again boiling, and mixed, stir in the fish sauce. Add the vegetables and basil, stir until cooked. The vegetables should be minimally cooked. 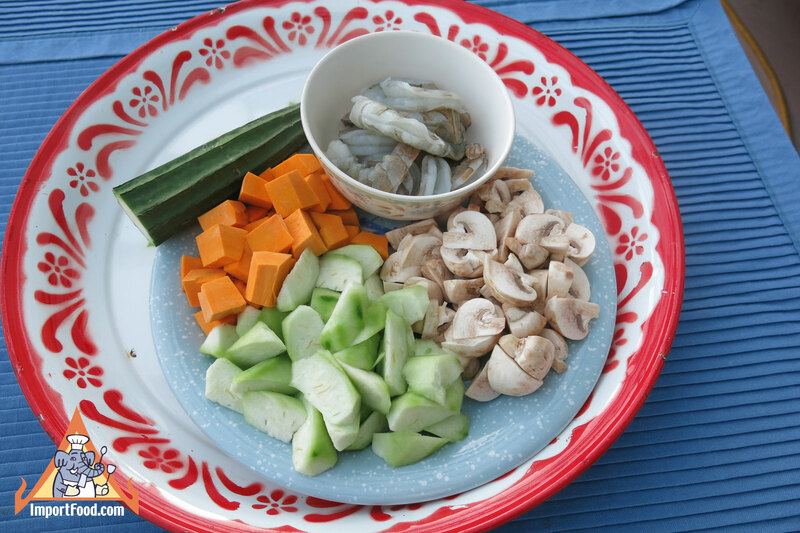 Taste and adjust the saltiness by adding more fish sauce if required. 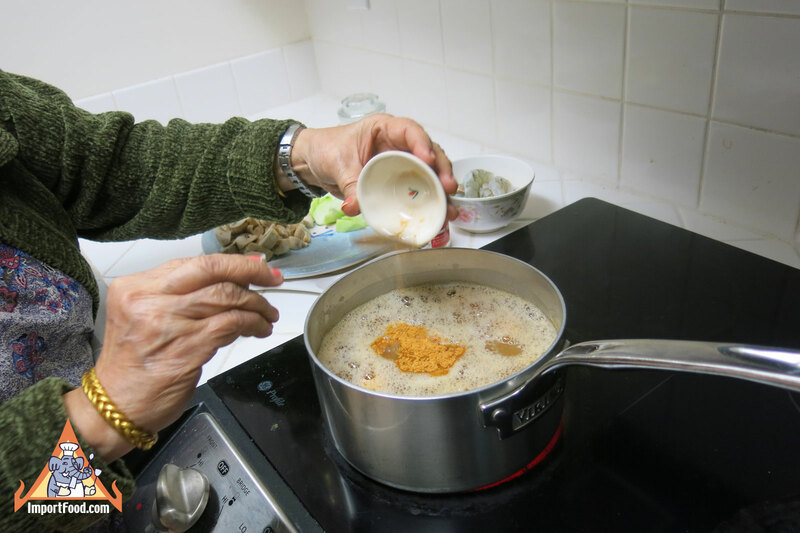 Many people especially love this dish if it's seasoned with fish powder with chile. Vegetarian with dried shrimp & fish paste? 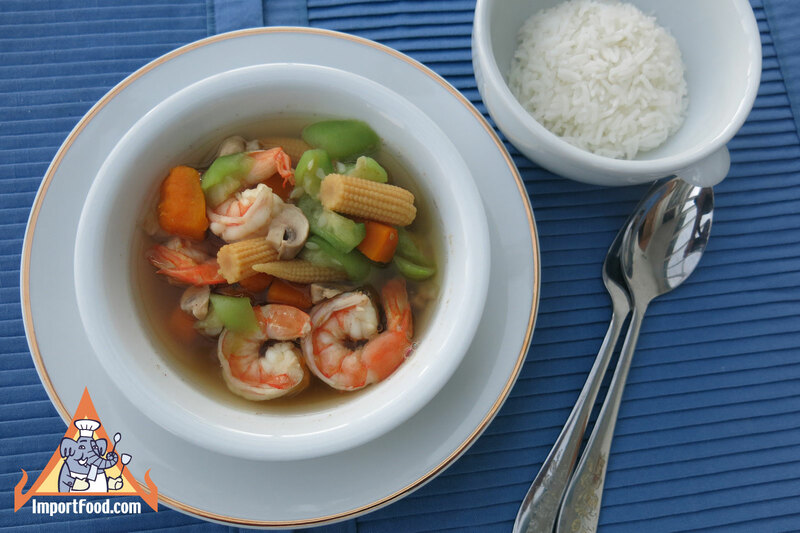 The soup is a vegetable soup with a shrimp paste base. Not vegetarian. Merely tasty! 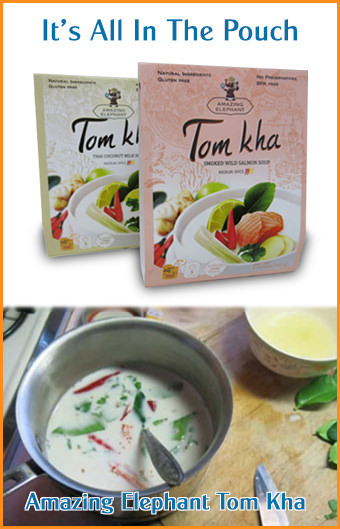 Also, if you are craving Tom Yum, I would order tom yum paste online. It's a lot easier than trying to make it by scratch.